Automatically turns power on and off according to ambient air temperature. Turns on at temperatures less than 35 degrees and off at 45 degrees. Saved electricity repays initial cost. Use a Hot ThermoCube for energy savings in hot weather. The ThermoCube can be plugged into any temperature sensitive device on the farm to take the guessing out of when cold weather will hit. 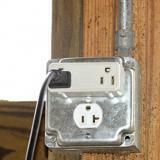 Use an outlet that is grounded. Prevent livestock water tanks from freezing in the winter months. 1500W power usage. 250w heater keeps small watering buckets from freezing over during winter months. Thermostatically controlled outlet turns on at 78˚F and off at 70˚F. Can be used with industrial fans; exhaust, ventilators, attic and roof. Recommended: 18 out of 21 said they would recommend this product to a friend. We've used ThermoCubes for 11 years and they have always worked perfectly. We've only had 1 fail after a couple years use. Premier1 got another out to us very quickly. 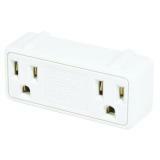 Great product and energy saver. Well made and a perfect pairing with Prima heatlamp. No wasted energy cost from lamps that run nonstop. Works great, thinking about buying more. 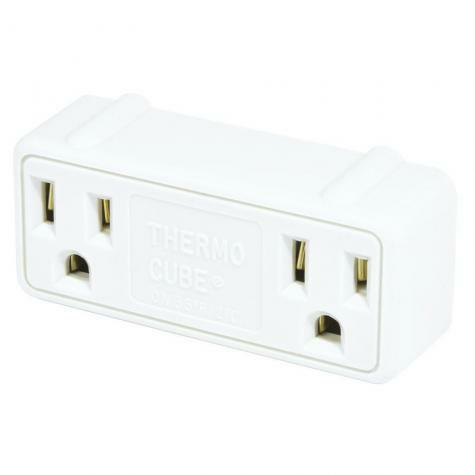 Purchased the Tempoplug hoping it would turn on at 35 degrees and turn off at 45 degrees. It was not accurate and would turn off and not come back on. Stall temperature was 28 degrees. Not reliable enough. So remove the plug and plugged heat lamp in direct. I would not recommend this product.